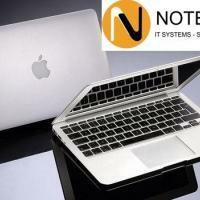 Notebookhyd providesApple Mac Book Laptops and desktops repairs and services in Hyderabad. Plot No 1, Adj. Bajaj Electronics 1st Level, Above Belleza/Apex Apple Store Opp: Big C Store,Kondapur Road,HyderabadHyderabad. SCF No.106, Sector -64, 1st Floor, Phase 10, Sector 64, Sahibzada Ajit Singh Nagar, Punjab 160062, http://www.acecare.in/Mohali.